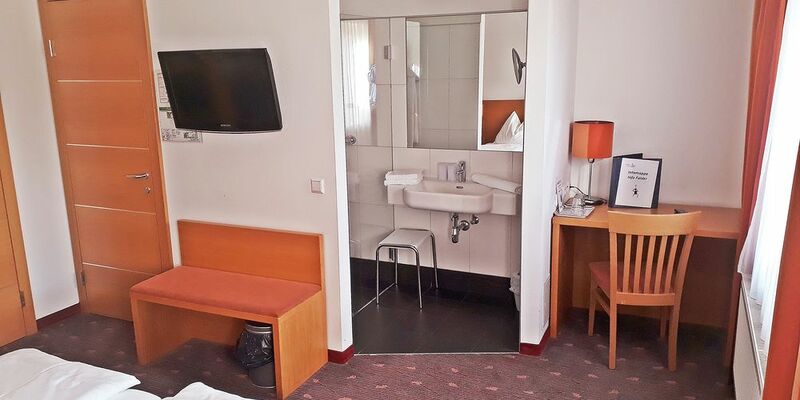 Whether a romantic vacation in Vienna with your favorite person, an exciting city trip with your best friend, or a business trip in Austria's lively capital - the cozy standard room invites you to relax and enjoy your stay in Vienna. The open bathroom with shower gives the 20 m² standard room a spacious feel, and the WC is located in a small separate room. The lovingly furnished rooms for 2 people are accessible by elevator and are barrier-free and equipped with an extra large double bed, flat-screen SA TV, and modern amenities. Are you traveling alone? No problem! The standard rooms can also be booked for single occupancy and are the perfect home base for a successful business trip or escape from the everyday. 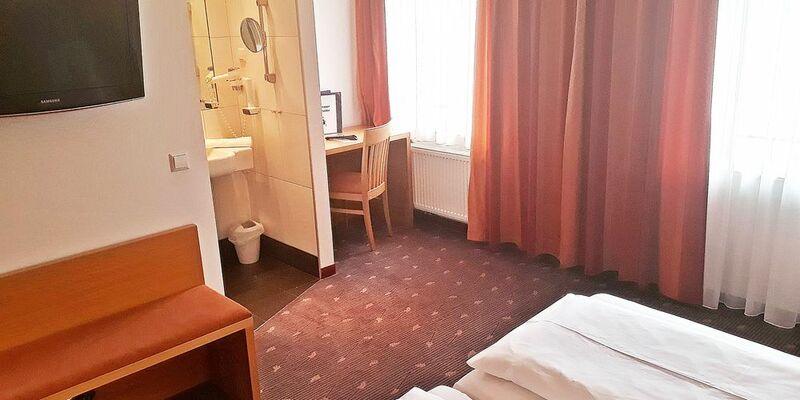 The hotel has spacious rooms with shower and practical interior design. All were in the quiet inner courtyard away from traffic noise. but was a welcome feature and made things easier. Spacious, modern, great bath with walk-in shower and large sink, counter, and mirror.